Section 1 AR Pipe (90mm Piping)? GTHaus Meisterschaft Exhaust System is a must-have upgrade for the restrictive BMW F32/F82 435i/xi / 435i/xi stock exhaust! 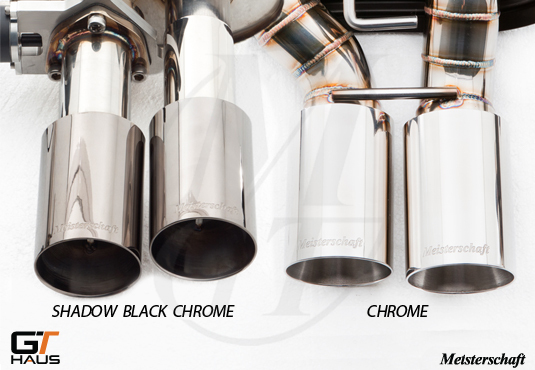 As a true race inspired exhaust system, the Meisterschaft Exhaust is very free flowing and features stainless construction designed to take performance to the next level. 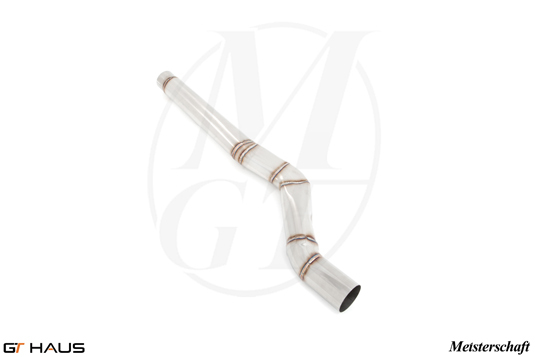 Each GTHaus Meisterschaft Exhaust system includes SR Pipes (connecting pipes) as a cat-back system with the option of Turbo-back with catless downpipe and features your choice of optional tips to personalize the ultimate exhaust system specifically to your tastes. GTHaus' all new GT Racing system for the F32 435i/xi is designed to provide the ultimate street performance for your vehicle. Increased from the OE 63mm piping, GTHaus' GT Racing unit features inlet piping that continues on into their dual velocity chamber design. GTHaus' velocity chambers have been engineered to maximize flow by accelerating the exiting exhaust gases, thus relieving back-pressure and resulting in higher power-output from the twin-turbocharged motor. Over the years, BMW 3 and 4-series have been a widely popular track day car. As such, GTHaus kept track enthusiasts in mind while developing this new system. Here is where the GT2 Performance Package comes into play. 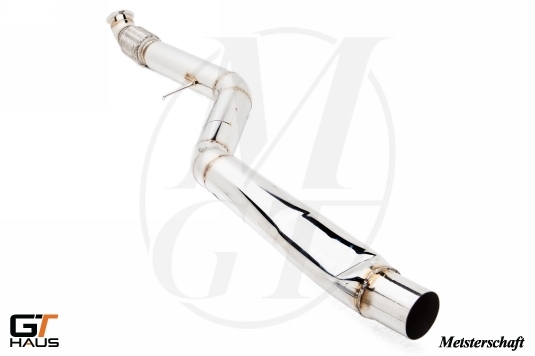 When you order a Meisterschaft GT2 Package for your 435i/xi you will receive a complete GT Racing exhaust system as pictured above, and in addition to the GT Racing system, you will receive a Super GT Performance X-Pipe section which serves as bolt-in substitute to the muffler canister on GTHaus' rear section and is great for track and high performance driving events. Extract every bit of power your engine can produce with this new GTHaus Meisterschaft SUS GTC (EV Control) Performance Exhaust System for BMW F32 435i/xi! 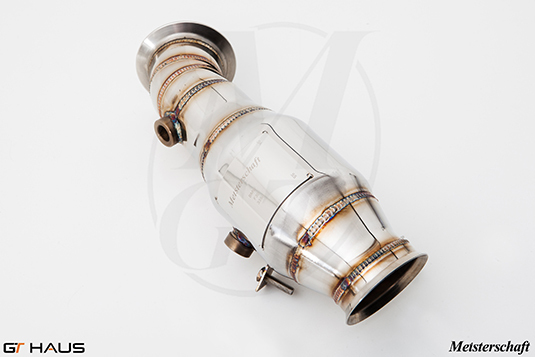 Catless Down Pipes (for Turbo Back) A cat-less downpipe which removes the primary catalytic converter in order to optimize performance and enhance exhaust sound. Section 2 SR Pipe - Included Removes stock resonator for optimal flow and performance gain. Professional installation is recommended. 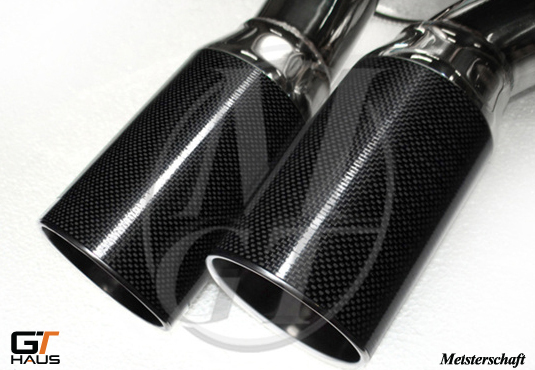 Get this GTHaus Meisterschaft Racing Performance Exhaust for F32 435i/xi installed by our experts at ModBargains. Our experts are highly trained to perfect each install.